In this tutorial, we will show you how to create a CNAME record. CNAME records are a type of DNS record you can use to point a hostname elsewhere. While they aren't needed by most users, there are situations where you will want to create a CNAME record for your domain. 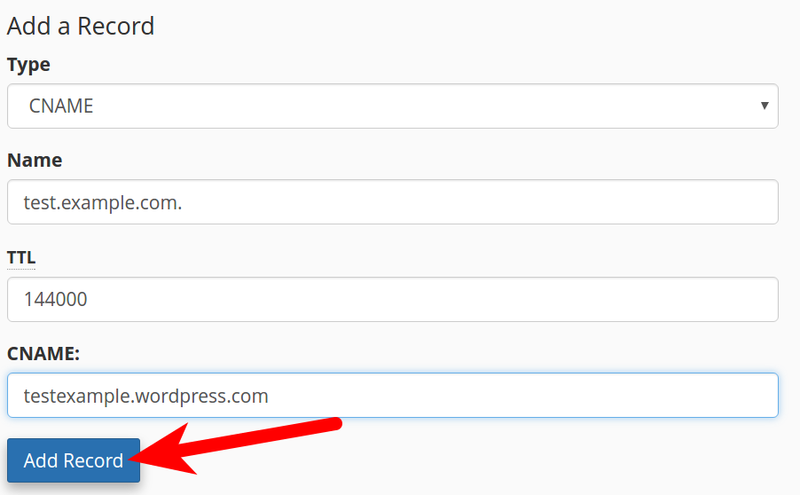 Such as when you point a subdomain to WordPress.org. We will show you how to create the CNAME recod in cPanel as well as WHM. DNS changes (such as creating CNAME records) can take up to 24 hours to push out globally, or propagate. Click the Advanced Zone Editor button in the Domains section. 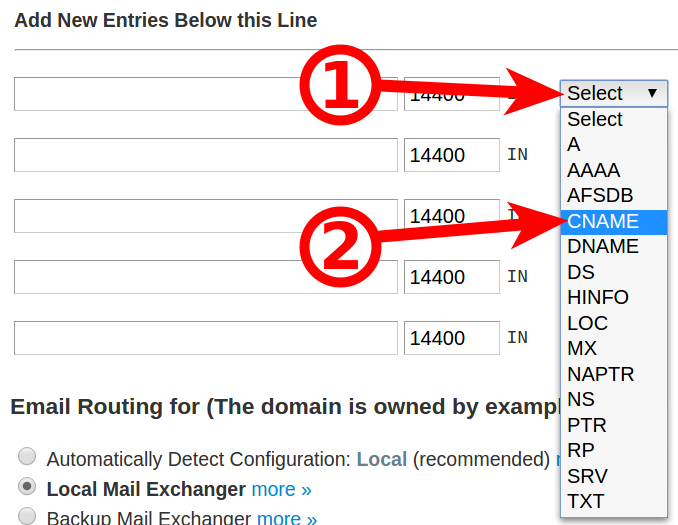 Click the drop-down menu, and choose the domain you want to edit the DNS for. Click the drop-down menu under Type, and choose CNAME. TTL The default setting is 14400, or 4 hours. Fill them in as needed, then click the Add Record button. 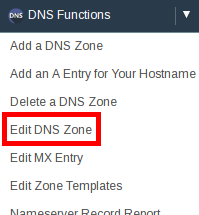 Click the Edit DNS Zone link in the DNS Functions section. Click the domain you want to create the CNAME for, then click the Edit button. Scroll to the bottom and you will see an Add New Entries Below this Line section. Click the Select drop-down menu, then click CNAME. 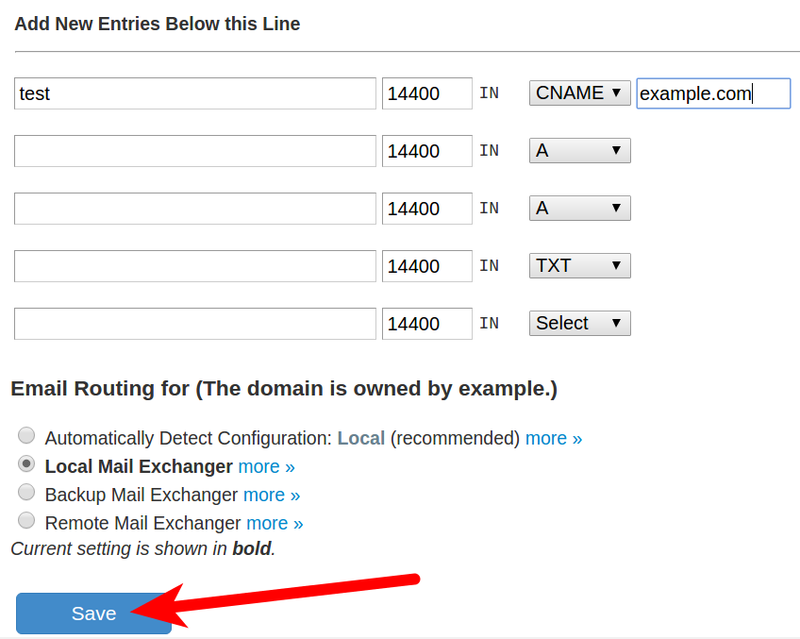 Enter your Hostname in the available field, then click the Save button. In my example, I am entering example.com. (14400 will automatically be filled in the TTL section). Congratulations, now you know how to create CNAME records in cPanel, and WHM. InMotion Hosting is a leading provider of web hosting for both busineses and individuals. Our US based support department is available to assist you 24/7. That type of error occurs when a DNS (Domain Name System) lookup fails. 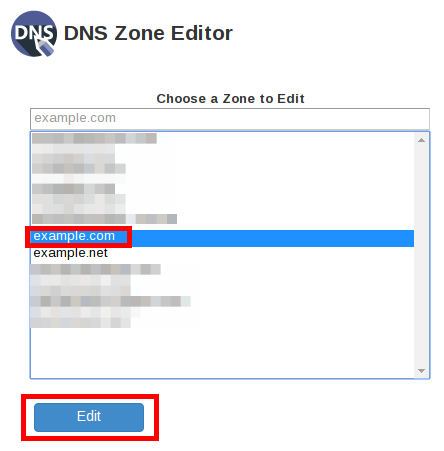 If they were working and recently failed, check your DNS records in the Advanced DNS Zone Editor in cPanel. If they are there, contact the Live Support team so they can look into it further.